I knew I was going to buy these as soon as I saw its ad in last months french Glamour. The shades looked so vibrant plus the promise of 24hr wear couldn't hurt right? 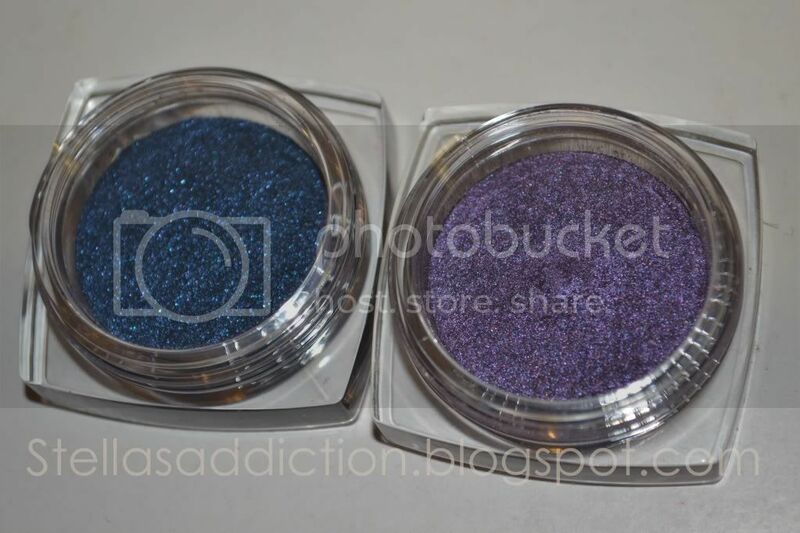 Infallible Eyeshadow contain ultra concentrated colour pigments, for an intense colour finish. Additional binders (oils) coat and magnify the colour pigments revealing beautiful shimmer and maximized colour. The colour adheres to the eyelid as durably and comfortably as a second skin and lasts for up to 24hrs. 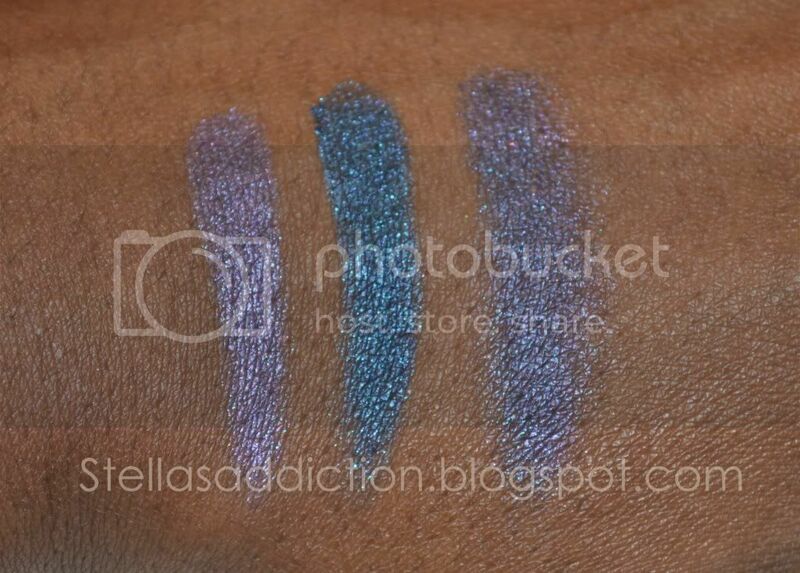 It comes in about 9 shades, I got Purple Obsession and All Night Blue. 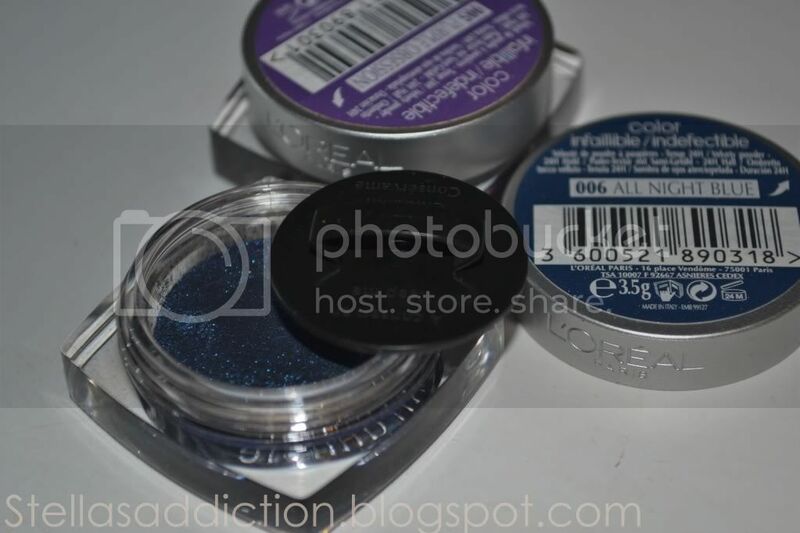 Purple Obsession, All Night Blue and both mixed. First of all I have to say I am loving the packaging. It's really...slick and innovative. Apart from the obvious beauty of the clear base and silver ring, it also comes with a little plastic conserver to prevent the pigment from getting everywhere (as most loose pigments tend to). I got mine from my local Carrefour supermarket, it retails for a little less than 8Euros in France for 3.5g a good deal if you ask me. 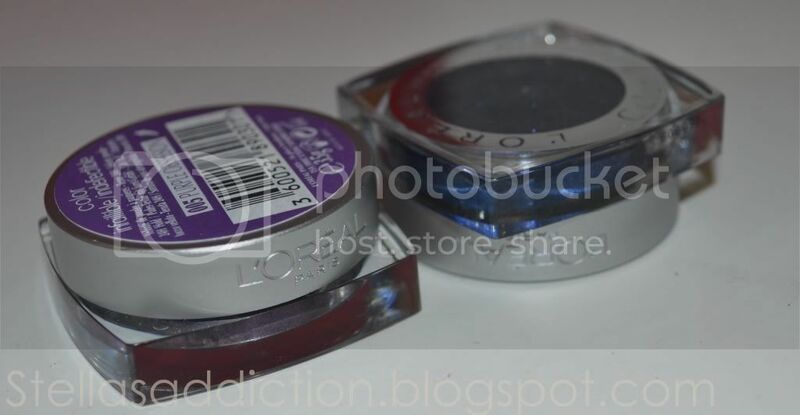 Click her to see a look with these eye shadows. 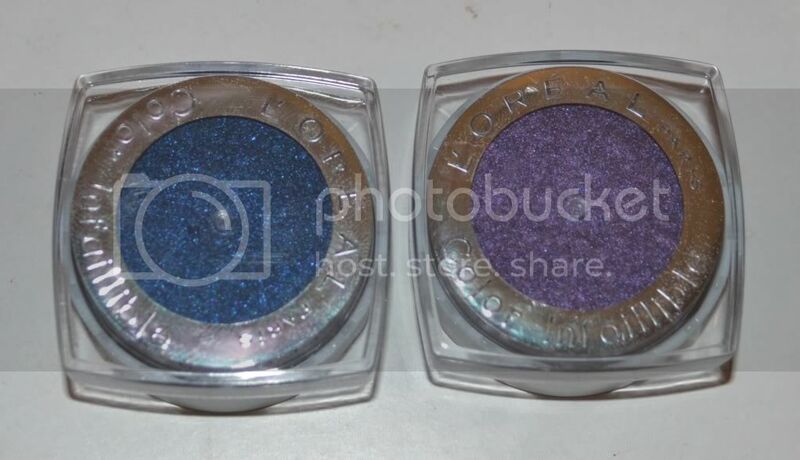 The colour looks deep and intense (d way I love my eye shadows). It is beautiful. Please do you know where I can get it in nigeria? The colours do look like they would last long. Love the colours. @Yeoal I'm sorry but I don't think L'Oréal Paris has an official distributor in Nigeria. @Lilly they are great and they don't crease! I hope the U.S. gets these. They look stunning.